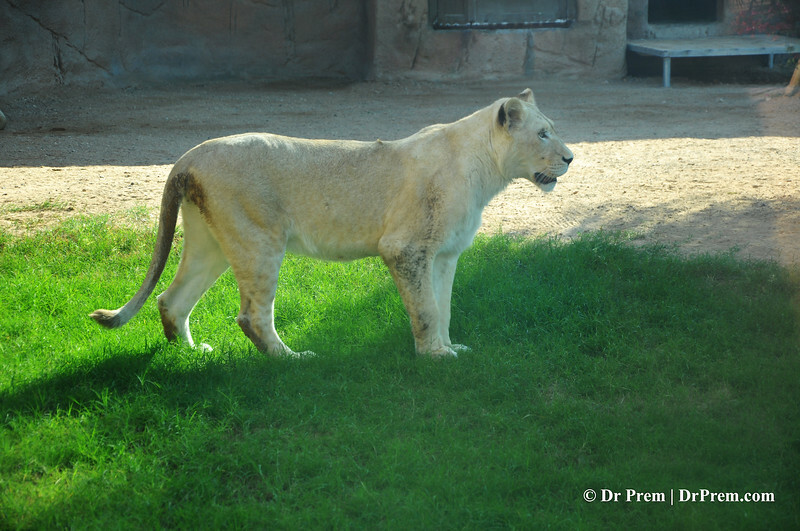 White Lion was shoot in Al Ain Zoo, UAE. White Lion is a rare wild animal. It is a genetically developed variant of African Lion. 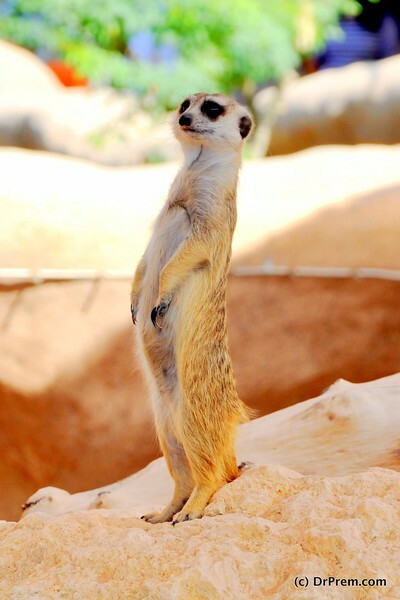 Its a meerkat or mangoose found in Al Ain Zoo in Dr.Prem camera. 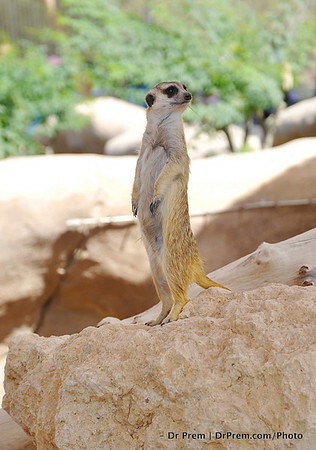 Meerkat is a carnivorous species primarily found in mainland of Africa. Attraction of the goat of Al Ain zoo is its large and ferocious horne. 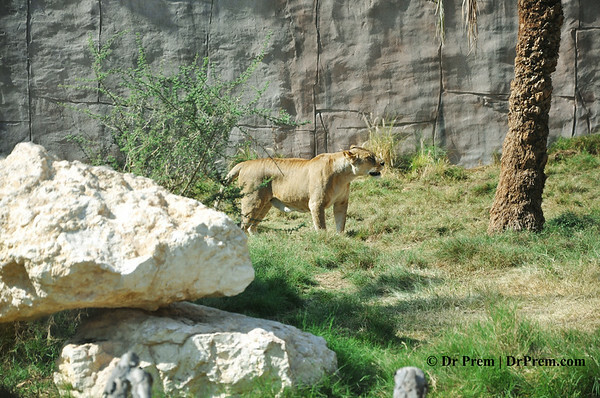 Total area covered by Al Ain zoo is 400 hectare or 990 acre in the foothills of Jabel Hafeet Mountains of UAE. 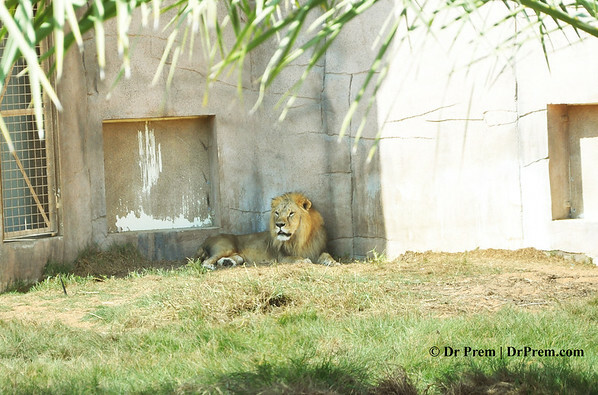 Lion Sleeping in Al Ain Zoo. A lion's life in the jungle is only 10-14 years but in capitivity they can live up to 20 years. 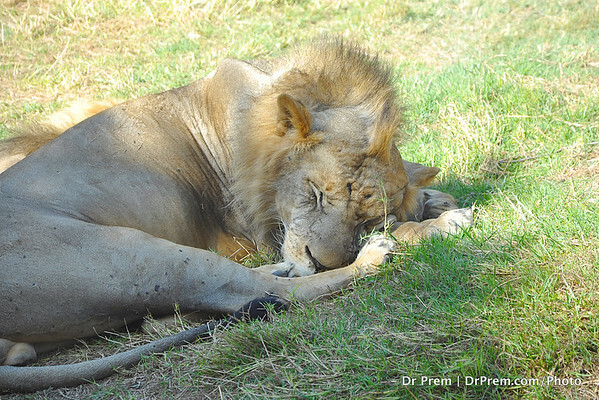 Lions are nocturnal in nature and thats why they usually sleep during the day. 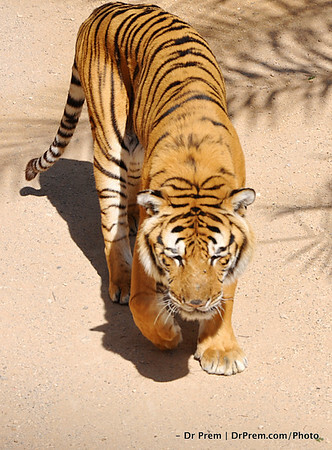 Sumantran tiger in Al Ain Zoo. A big tiger can be 11 feet long and more than 300 kg of weight. 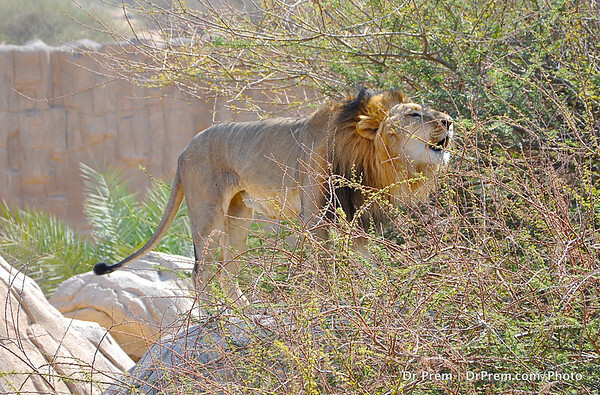 Lion roaring at Al Ain Zoo. The sound of roar can be heard from a distance of 8 kilometers. 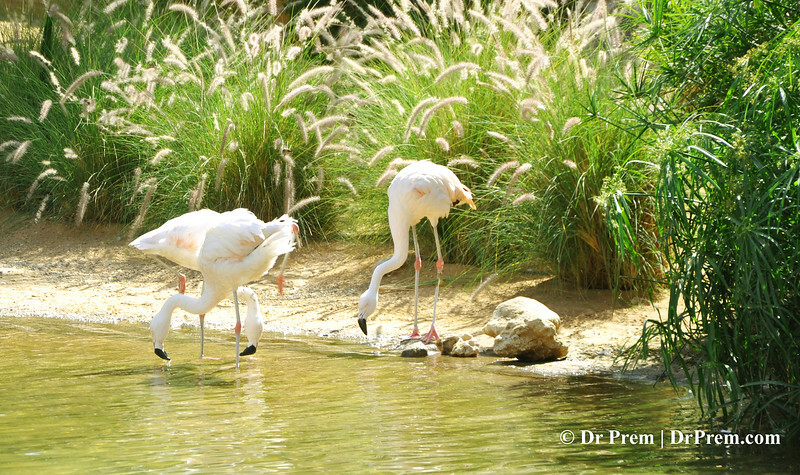 Al Ain zoo was founded in 1968 by late Sheikh Zayed. 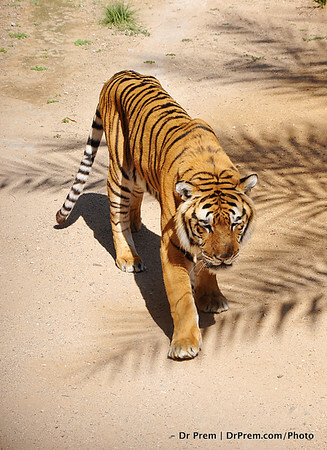 Tiger walk in Al Ain Zoo. It is the largest zoo in UAE and in zoo it can live up to 26 years. The harmless pet chameleon is different from normal chameleon due to its multiple colour in its outer body. Wen it scares, it tries hide itself to escaping from predators. Meerkat try to see invaders to protect the family in Al Ain Wildlife Part. 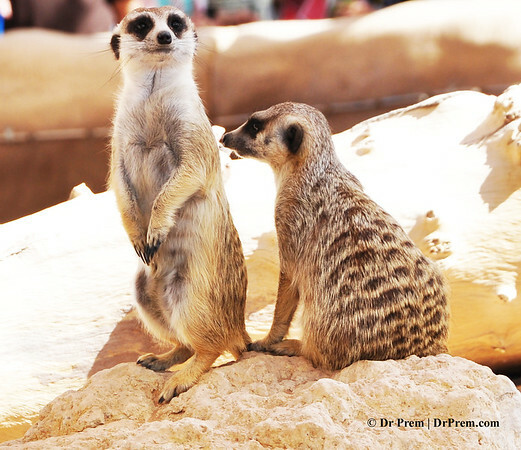 Home of Meerkat is Kalahari desert in Botswana, Namib desert in Namibia, South Africa and southwestern Angola. 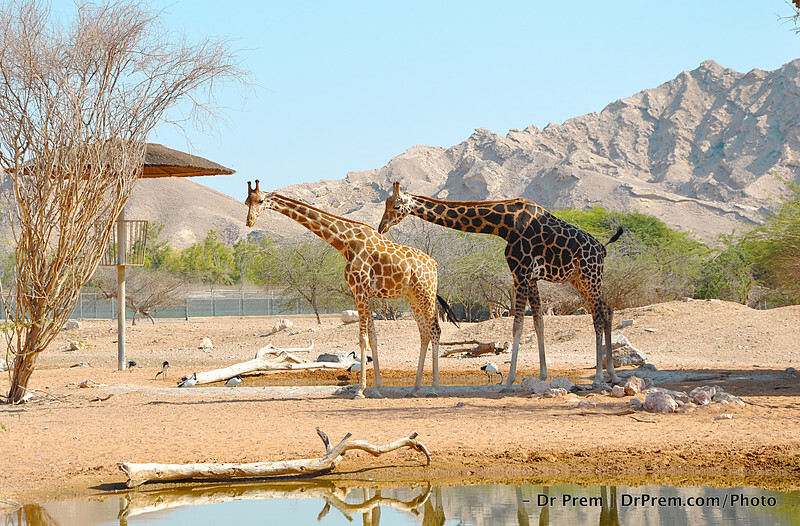 African giraffe is available in Al Ain Wildlife park. It is tallest living animal in the world and adult can be of 500-600 cm height. Meerkats are growing in Al Ain Wildlife Park. 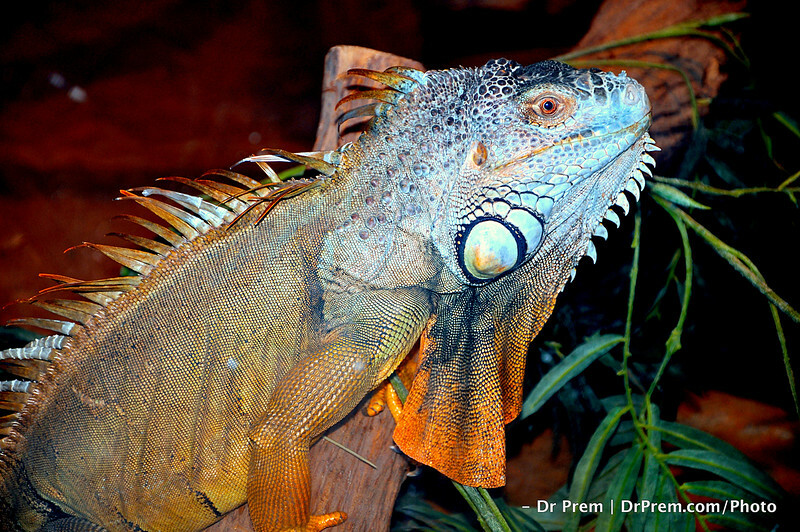 Dr.Prem had taken a wonderful photograph of these mammals. 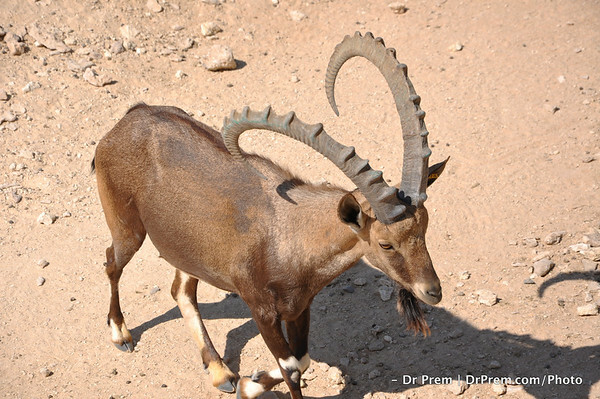 A Spekes gazelle (Dear species) got registered in Dr.Prem camera in Al Ain Zoo, near to Abu dhabi. White lion are human creation and it own its colour in recessive gene. White lion is genetically modified species and that genetic condition is called leucism that change the colour of the skin to white. 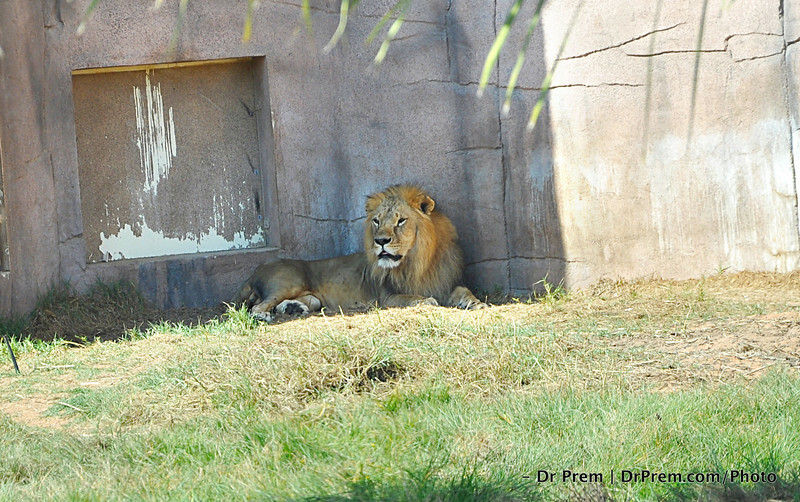 Lion spends more than 20 hours in relaxing. In forest a lion has his own territory and he patrols daily to keep invader out of his territory. 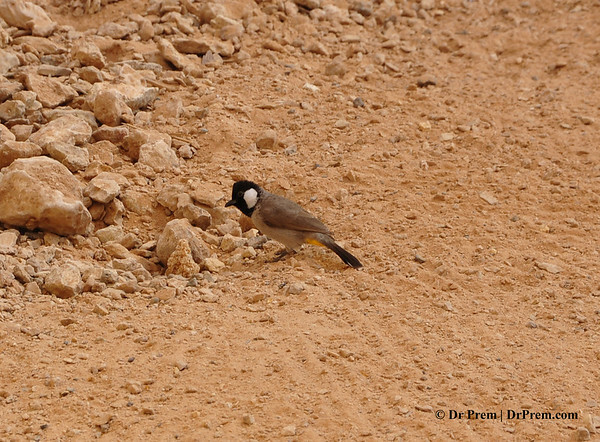 Red-Wattled Lapwing is searching food in Al Ain Zoo. It alarm the calls very loudly and due to this uniqueness it has colloquial name - 'did-he-do-it bird'. 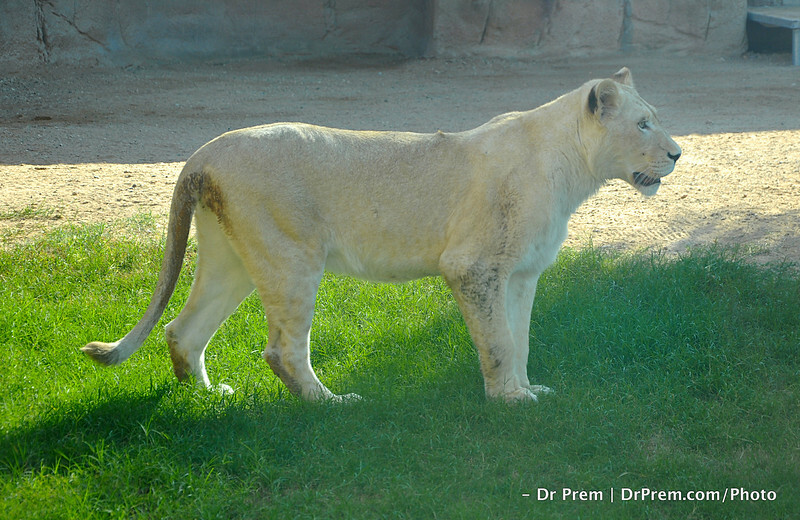 Lioness usually hunts rather than a male lion. 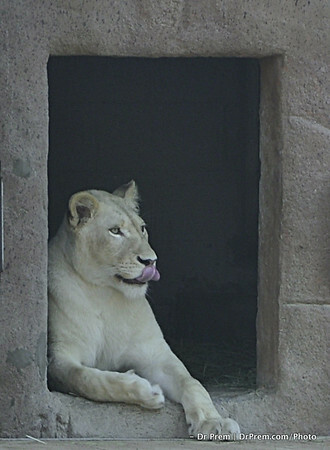 Male lion shares hunted food in return of providing security to female lions and their cubs. 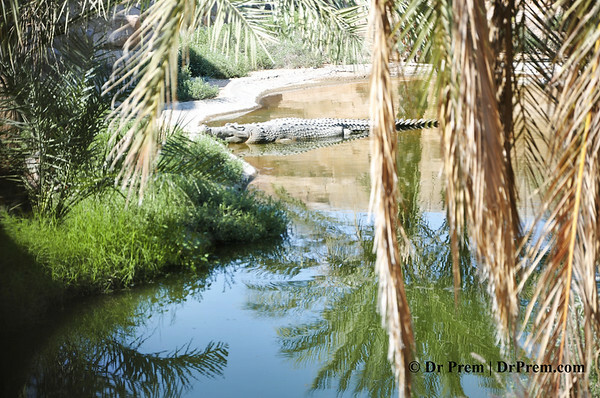 Crocodile at Al Ain Wildlife Park. 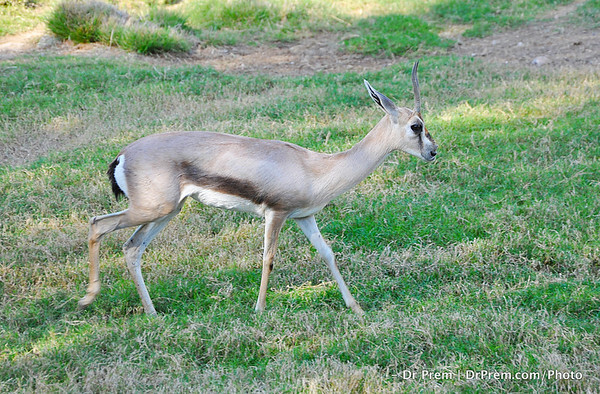 The zoo is home of almost 4000 animals in which 2500 are mammals. The lovely Flamingos gather to lap up some water. The sheer brilliance of their plumes and the lovely greenery at the backdrop make us so so wow. Al Ain has a more than thousand treasures from the animal world up its sleeve indeed! 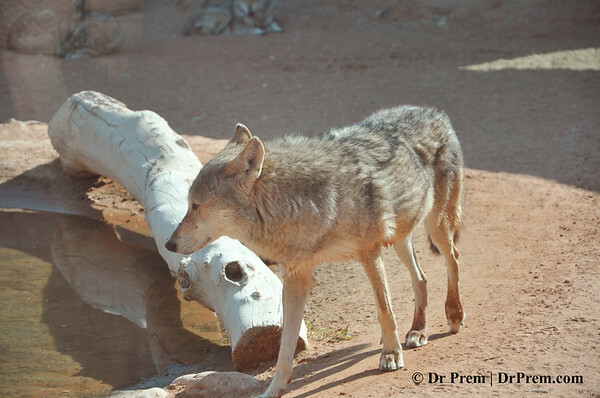 Catch up with the hungry Arabian wolf and how it seems to be thinking its next scheme. The log of wood might just be its inspiration for calm thinking. Al Ain indeed fascinates with its thousand plus treasures from the wild. Here is a toast to the zoo. The giraffe is a wonder beast. Look how mighty it looks yet the composure with which it stands. The shriveled bushes and the dry surroundings never cause a care on the giraffes' faces and yet we know these tall darlings might be thirsty or even hungry.